Samsung Beats Xiaomi in India: The race to be the best brand in the smartphone market is on. There are many major players who want to capture the most clientele. The overall growth in the smartphone market since last year has been 18%, returning back to the double digits. Xiaomi has been ruling the Indian market and growing since the last one year, but Korean smartphone manufacturer Samsung has toppled the Chinese giant and claimed the top spot in the country for the second quarter in 2018. According to reports, Samsung has captured a total market share of 29% in India. Following close behind this number is Xiaomi, with a total market share of 28%. By the end of the second quarter last year, the Chinese tech firm had a total market share of 16% while that of the South Korean was 24%. The two firms are the biggest competitors in the Indian markets. However, none of them claimed the top spot for the fastest growing brand in the last year, which went to OnePlus. The third, fourth, and fifth spot on the ranking for the total market share in India was captured by Vivo, Oppo, and Honor, respectively. Vivo had a total market share of 12%, Oppo had 10%, and Honor had 3%. The top five brands control a total of 82% of the total market share; the rest of the 18% is captured by all others combined. Smaller brands had to cut out on SKUs and had to revise their strategies and channels to compete in the market. 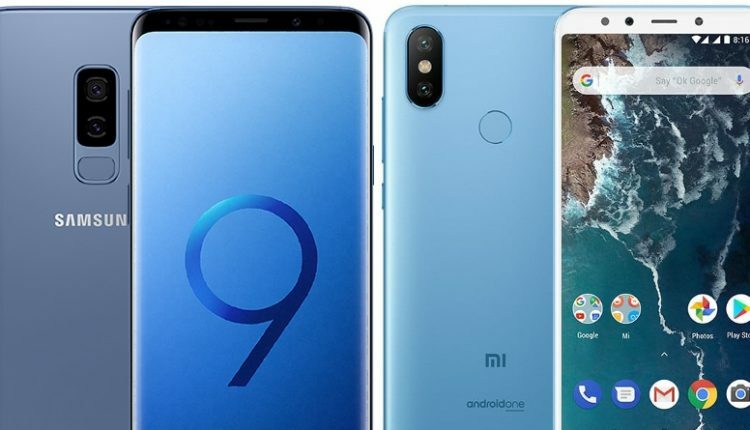 Product launches were delayed because of the announcement of an increase in the duties for handset components during the starting of the second quarter. The smaller companies decided to save on the increased prices for components like populated printed circuit boards, mechanical parts, and other components.